Award-winning documentary filmmaker Joe Fab and artist and educator Cheryl Rattner Price are calling for all 50 states to mandate Holocaust education in the public schools, to combat a rise in hate crimes nationwide that spiked around the presidential election. Ahead of International Holocaust Remembrance Day this Friday, Jan. 27, Fab and Rattner Price are urging residents in every state to call and write to their governors and demand that the Holocaust be taught in public schools. Currently only eight states require some form of Holocaust education in the public schools. The pair says it is vital that US schools teach young people about the Holocaust at a time when there’s a marked increase in reported hate crimes and anti-Semitism nationwide. 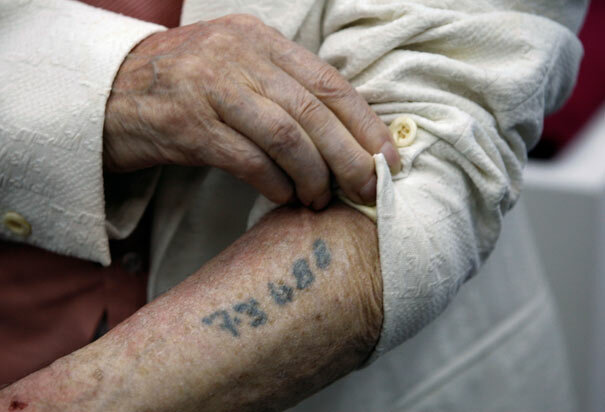 “Holocaust education isn’t some dusty historical subject. In fact, with the resurrection of the alt-right in America, the movement to ban Muslims from entering the country, the high incidence of hate crimes since the election of Donald J. Trump and more, Holocaust education is more critical today than ever before,” Fab said. The call for the public to lobby local government for Holocaust education in public schools would begin with an initial 100-day phase, in which Fab and Rattner Price would seek to partner with organizations such as the Anti-Defamation League and Facing History and Ourselves that currently focus on Holocaust education, as well as with schools and other institutions, Holocaust museums and an upcoming conference on social studies. The pair issued the call Tuesday evening, during a screening at the Manhattan JCC of the new film they produced and directed, “Not The Last Butterfly.” The film (http://www.notthelastbutterfly.com) tells the story of The Butterfly Project, a global education and arts program whose mission is to paint and display 1.5 million ceramic butterflies to honor and remember each child killed in the Holocaust, and to foster education and awareness of the dangers of hate and bigotry, by mobilizing the global community to stand up against injustice and create a more compassionate and peaceful world. Fab is also the director of the Emmy nominated and award-winning documentary “Paper Clips,” about a Tennessee school project to fill a replica of a Nazi freight train full of millions of paper clips, one for each victim of the Holocaust. The students chose paper clips because Norwegians wore them during the Nazi occupation as a symbol of resistance. Fab and Rattner Price acknowledged the challenges of igniting a public campaign to lobby state leaders to mandate Holocaust education. They said the current education system is focused on performance assessments, especially in the core subjects of reading, math and science, so teaching is focused on testing. That leaves little room for other curricula, and there is no standard for education policy across the states. However, Holocaust education is more relevant than ever, they said. This month Jewish community centers in 18 states received bomb threats, the latest series of anti-Semitic incidents to strike nationwide. The Anti-Defamation League reported 2.6 million anti-Semitic tweets during the presidential election, with 800 Jewish journalists targeted. In the 10 days after the election of Donald J. Trump as president, 867 hate crimes were reported, 100 of those ant-Semitic in nature, according to the Southern Poverty Law Center. While “Not The Last Butterfly” is focused on remembrance and hope, the filmmaker pair said their education initiative could help push a national effort to ensure that student learn the lessons of the Holocaust and the importance of standing up to hatred of all kinds. “The lessons of the Holocaust education projects I’ve filmed apply not just to anti-Semitism, but to every aspect of our lives – including the dangers we see today to non-Jewish citizens as well as threats to our morals and values — and even to the survival of our democracy, Fab said. I think in the USA it is also vital to show phtos of Normandy beach showing the many many thousands of US soldiers (including crosses and magen davids) showing the evil Nazis were enemies of the US and indeed the free world. It also may be necessary to ensure pro Palestinian activists dont try to rob the emphasis of the education by then adding on to the lesson that what democratic ally Israel does with the Palestinians is the same as the Nazis. Of course on the contrary it is Palestinians that seek to destroy Iarael while Israel allows equal rights for all religouns. There’s no point. They are not going to like us better. Aisuf hates yakov. What else is new?